Radius corners and hugging shapes are the characteristics of the Allure collection. Soft padded seats enclosed by a thin wooden shell. 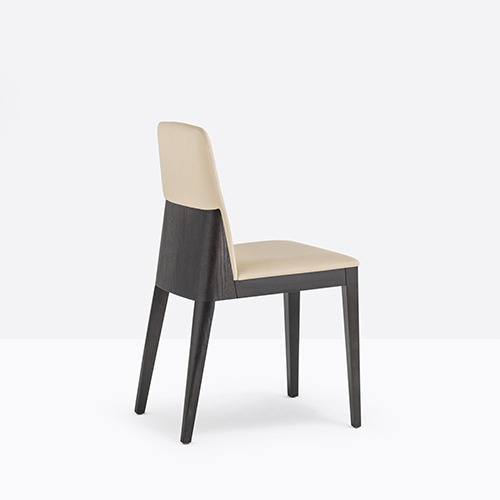 Chair with legs in solid oak, upholstery of the padding available in different colors and fabrics.